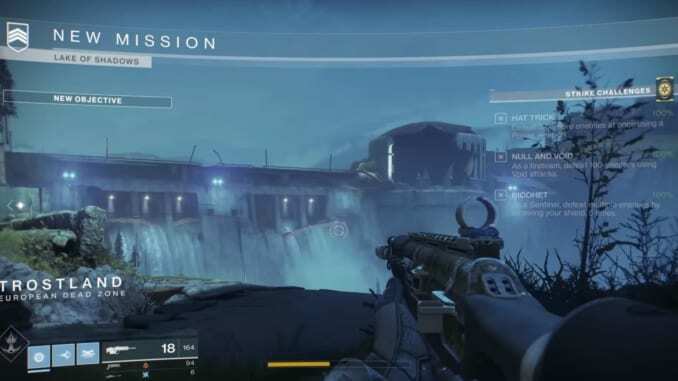 This page contains tips and tricks on how to complete the Destiny 2 Lake of Shadows Strike Mission. All the things you need to know can be found here. Destiny 2 Lake of Shadows is a strike mission that requires you to kill the Exsanguinator, the Asphyxiator, the Excutioner and Grask, the Consumed. Be sure to use your grenades on clumping enemies so as to not get overwhelmed and outnumbered. There will be phalanxes in this strike mission so bear in mind that they can use their shield to block your shots. Strike them where they are the weakest, in the sides or in their backs. The bosses here can quickly dash to your location so try to keep your distance and shoot from afar. The blights needs to be destroyed, but you must kill the enemies first for you to properly focus on destroying the blight. Remember that the bosses can also summon their minions, so try to take them out first too to lessen the trouble. 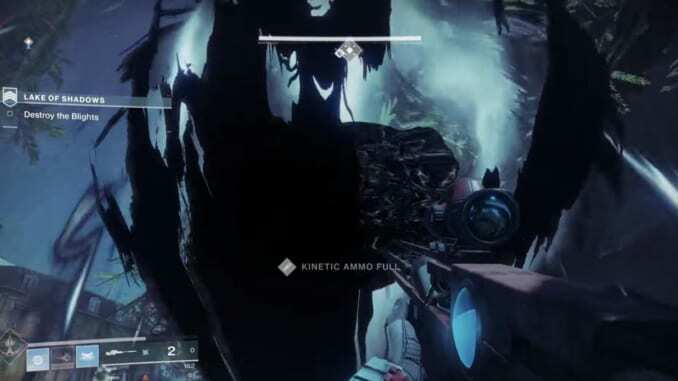 There are more than one Taken Blight in the Destiny 2 Lake of Shadows so its important to not get too comfortable once you successfully destroy one. There will be plenty of Taken troops that are scattered around the area so be careful not to get taken out. These include phalanxes and hobgoblins. Move from area to area to cleanse each vicinity. Make sure to take out the troops first before you take out the blight as this will prove to be quite difficult if you are busy getting hit by several taken troops while you are hitting the blight. Normally there are 3 phalanxes surrounding each Blight that guards it. Take out all three before you proceed on destroying the blight. After you successfully wipe out three blights, you will be told that the Taken energy is still too high and that a source might be existing. After this, you will now be tasked to fully eradicate the Taken army. There will be some Taken troops by the edge on your side. Once you take them out, you will see a blight blocking a hole to the wall. Destroy this and press forward. You will now be tasked to find the leader of the Taken army. The Taken Executioner can quickly dash to your location and deal massive damage. It’s best to keep your distance and shoot from afar. Try to throw grenades as much as you can when the enemy are clumped up as this will fully maximize your grenade’s use and save you the trouble of having to individually kill them all. Clear the deck for the final area. There are two mini-bosses here in Destiny 2 Lake of Shadows: the Taken Executioner and the Taken Aphyxsiator. Right before him however, there are some Taken Phalanxes. Best weapons are SMGs or any close-ranged weapon. It’ll do you some good to take them out. Once taken out, the Taken Executor will appear. Unlike the other Taken bosses, he doesn’t have a shield. So, you can load his face with bullets and he’ll go down easy. After that, head down and go through the tunnels. However, watch out for the incoming Thralls. There’s also a Knight waiting on the other side. Find a flight of stairs and take out the rest. However, you can duck behind the stairs if you need to heal up. After that, head into the chamber with murky pool water. You’ll find a mob there but at the same time, there’s the Taken Asphyxiator. He has a Goblin protecting him so you can kill him fast. Then, focus on the Taken Asphyxiator. The Taken Asphyxiator will suddenly vanish after you deplete half of its hp. No need to chase it and just proceed to your mission and keep pressing forward. After that you will then be told that the Taken spike has now reach its highest. In here, you will see the blight in the center of a room. After you shoot this blight and destroy it, Grask, the Consumed shall appear in front of you. Congratulations! You have successfully finished the Destiny 2 Lake of Shadows!